I will teach your children My ways and give them great peace. 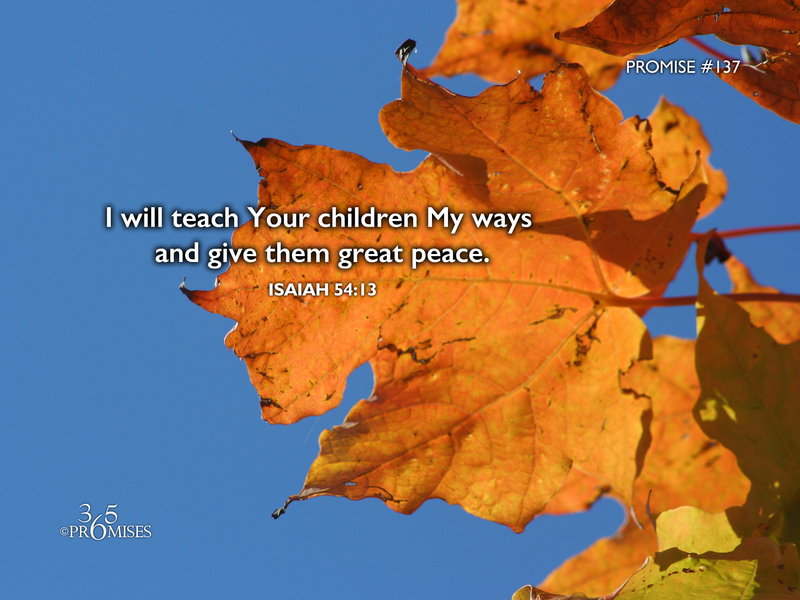 Whether your children are experiencing the fulfillment of this promise or not, don't give up. Keep praying for them and believing that our Father's heart is to bless our children more than we would want them to be blessed. May God give each one of us the grace to trust Him with the loving care of our kids. Our Father is indeed a family man and He will be faithful to watch over our children!